I am a mumma to 2 little boys and love to explore the local areas of Sydney for fun, play and eateries. The search for the ultimate family beach suitable for a toddler and a baby is finally over. Also this meant an end to all sorts of frustrations including parking and then looking for a suitable spot to lay the picnic gear which is just the optimum distance from the parking and toilets etc. 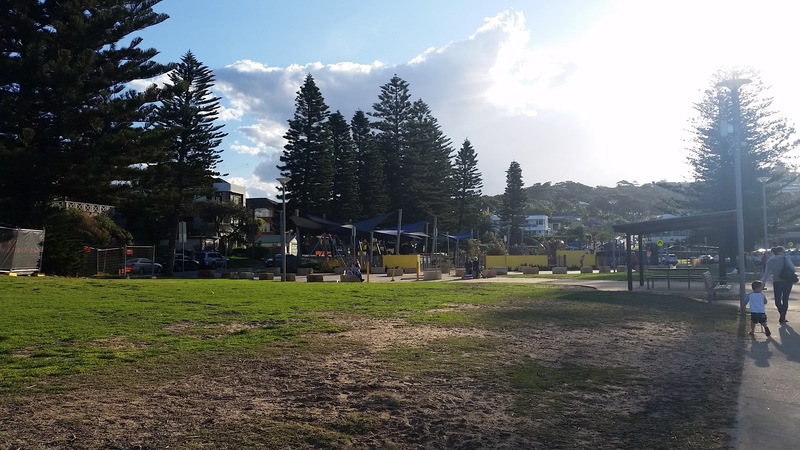 Collaroy Beach on the Northern Beaches of Sydney ticked all our requirements to make it a ultimate family beach. 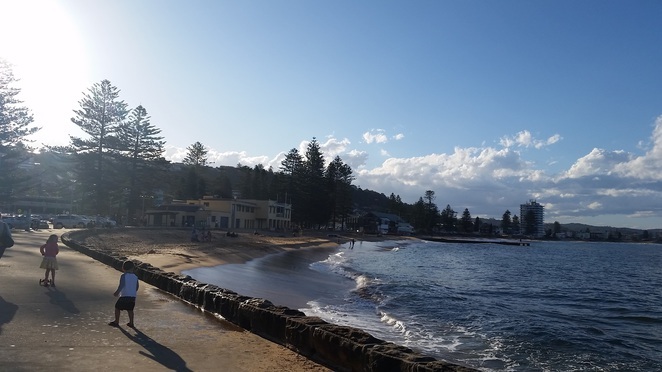 Collaroy Beach off Pittwater Road under Warringah Council has plenty of street and council parking, which is permit and ticket based. The playground is close to one parking lot, it is gated and has a soft fall surface. It is also shaded with sails and has ample places to supervise the kids. Slippery slides and spring rockers are aplenty so kids don't have to wait for their turn. 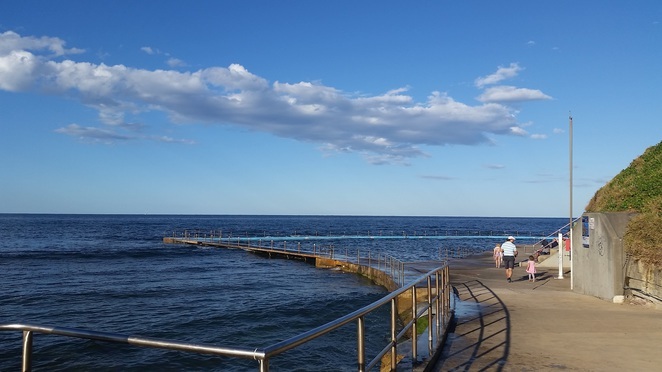 The playground is within 2 minutes of the toilet complex and Collaroy Surf Life Saving Club, which makes it a very safe beach as far as surf patrolling is concerned. The playground is also close to the ocean pool and showers so it is easy to switch between sand play and dry play in the playground. The beach also has a walking path and cycling track along with grassed lawns with shaded trees to enjoy a full day of beach picnic. There is my favourite cafe/ casual place to eat - Sloppy Tee's. There are other places to eat as well like The Collaroy which we have not yet explored. There is a surf shop across the road as well just in case you forgot your board or the quintessential beach towel. We have finally found our ultimate beach getaway for many summers to come.